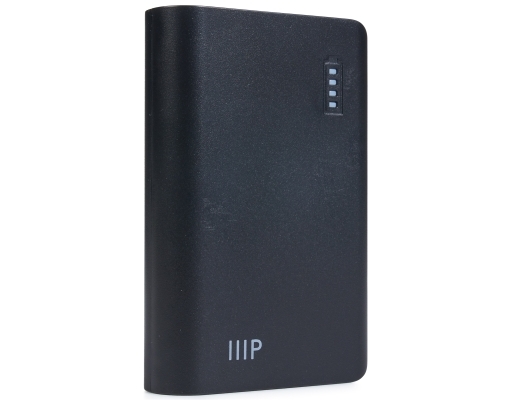 Select Series Power Bank. 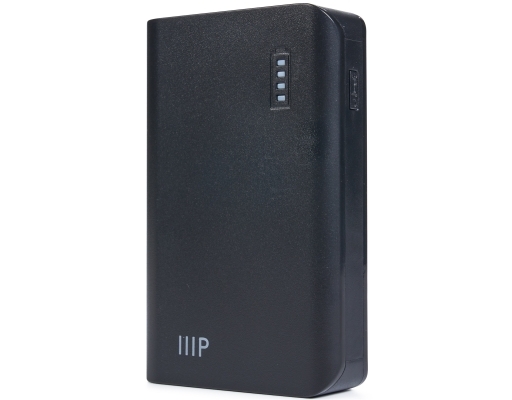 Monoprice's Select Series Power Bank provides the power you need to keep your devices charged on the go. Status LEDs show the charge level at a glance and indicate when the Power Bank is charging and how much charge it has left. A built-in LED flashlight provides emergency illumination when needed. Each port charges your device at full speed, just like your home charger. 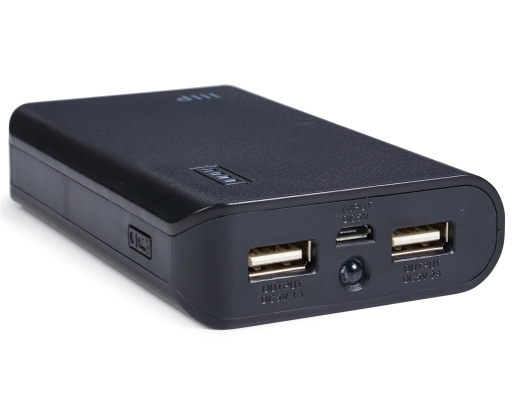 There are no buttons to push--simply plug in your device and the Power Bank starts charging. Once you're finished, the device shuts down automatically. Built-in overcurrent protection prevents any device from accepting any more current than it can handle, keeping your valuable devices safe. 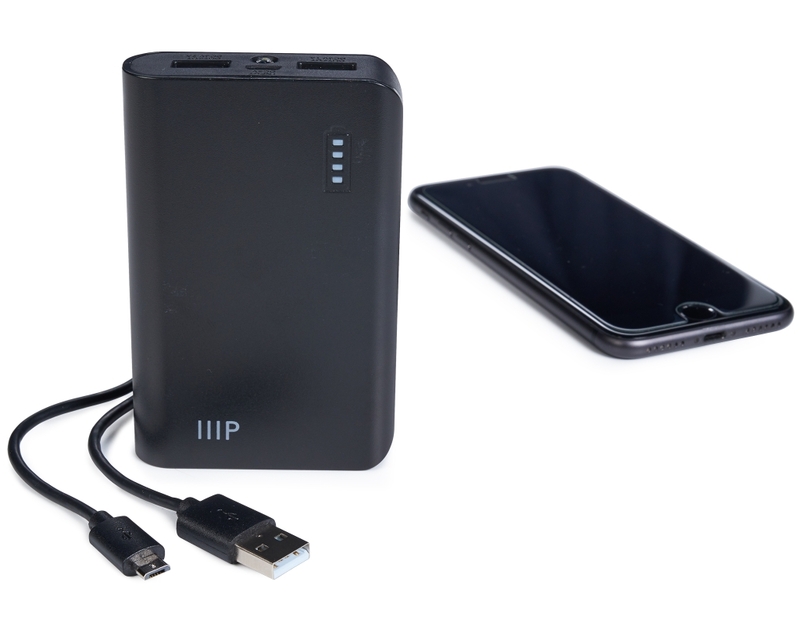 • Fastest possible charge time for your iPhone, iPhone 6 Plus, iPad, or Android devices. • Two dedicated ports to charge two devices at full speed. • Never run out of power: Charge your iPhone 6 up to 11 times or Samsung Galaxy S6 up to 7 times or your iPad Air 2 times and other smartphones multiple times off of one charge from your Monoprice Power Bank. 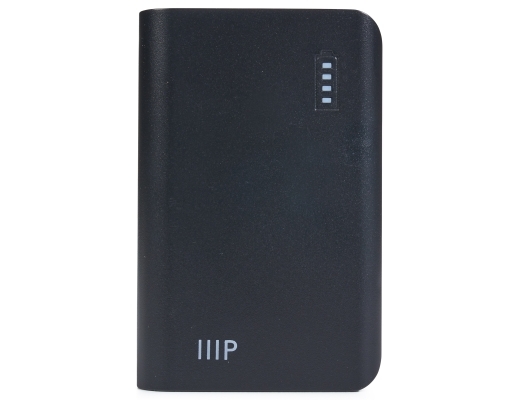 • Easy to read LED status indicator shows your power level and recharges in 14 hours with included micro-B cable. • What you get: simple frustration free packaging, micro-B cable, built-in emergency LED, and quick start guide.